Our trademark Moose was on the loose in The Moose Recluse designer Cabin, leaving moose tracks all over the rustic birch floor. 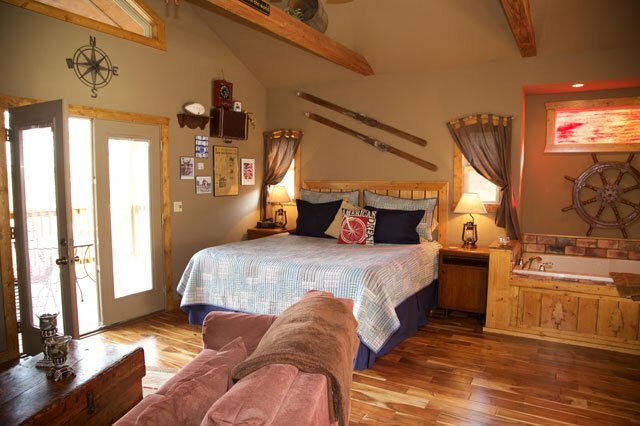 In fact, he stands sentry over the king-size bed in the spacious bedroom waiting for you and yours to join him in a special escape to the edge of the deep woods. 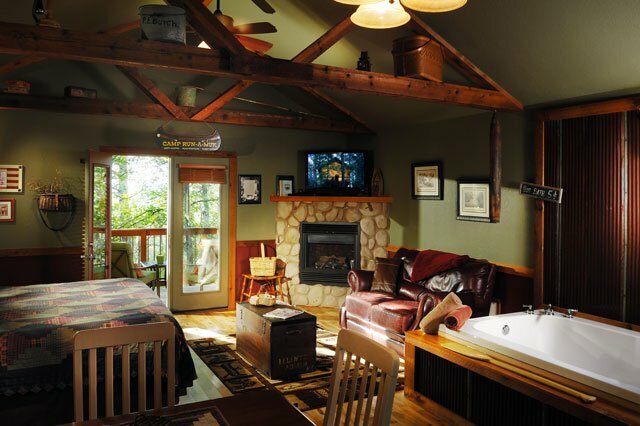 It's easy to see why this is the most requested cabin at Eureka Sunset. 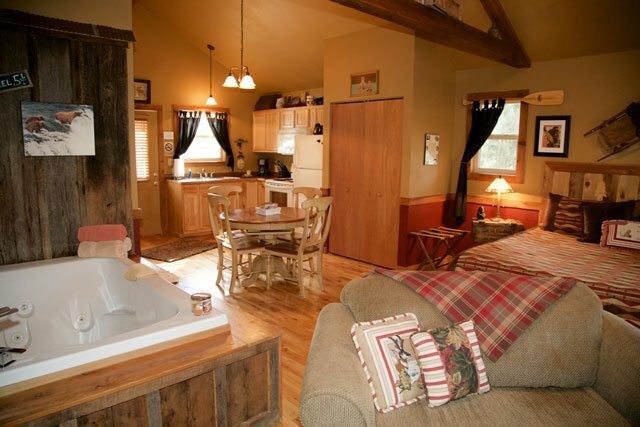 This enchanting retreat, complete with a jacuzzi for two, will thrill that special person in your life from the moment they see its rustic exterior to that moment when they enter the designer cabin lodging to discover its elegant interior. Painted in inviting colors of caramel corn and cottage red, this wainscoted cabin will delight even the most circumspect eye. 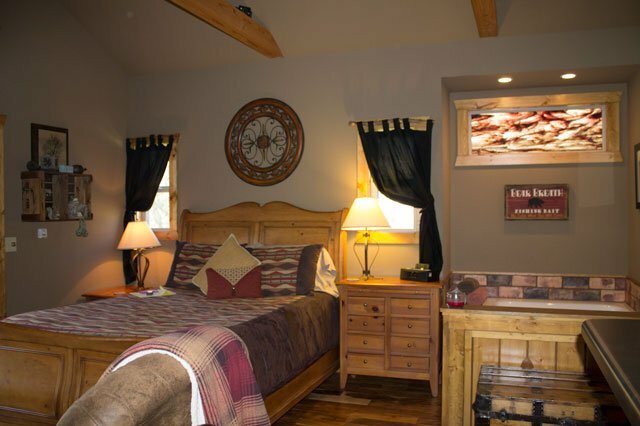 Another wonderful ammenity to enjoy at the Moose Recluse is the glass-enclosed shower with dual shower heads then relax and watch the 40 inch flat-screen TV / DVD player with cable. 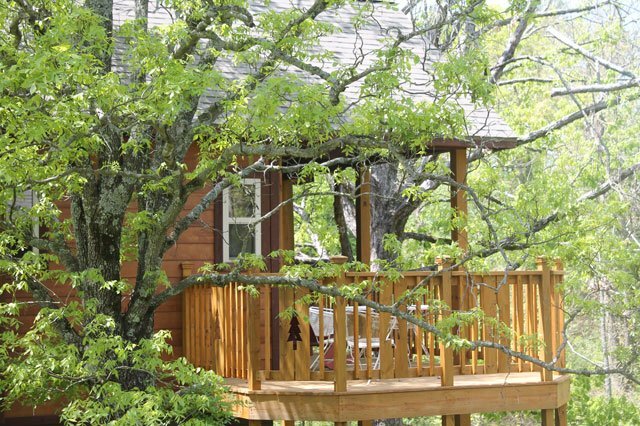 A gas grill is provided on the secluded deck together with select seating and a panoramic view of the woods below. Furthermore, anything you need awaits your arrival: stove, refrigerator, a stacked washer and dryer, microwave, toaster, coffee pot, dishes and pots and pan are all a part of its offering. The last four days in Moose Recluse have been so much fun! 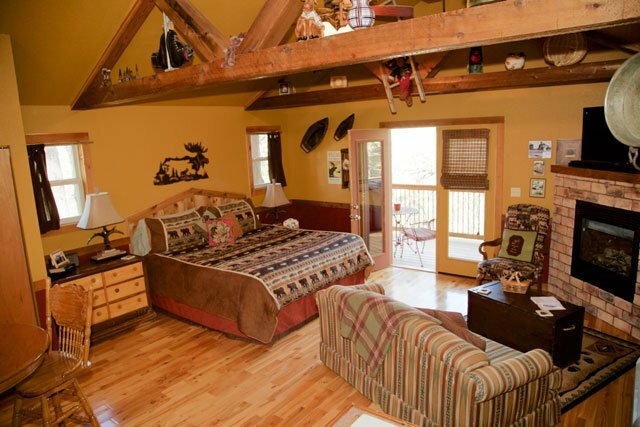 There is nothing that you have not thought of to make your visitors feel comfortable and special.